For the European project Atlas of Transitions, Le Channel Scène Nationale has co-produced a performance dealing with the context of intercontinental migration to especially speak to children about the matter, and has entrusted the work to the nomadic and multidisciplinary Company ‘Les petites boîtes’. This Company, which has already produced ‘The loneliness of the snail’ – an autobiographical story about migrants’ life after exile, for ages 8 and up –, and ‘Son of the desert’– the tale of a journey from the desert to the Mediterranean, for ages 4 and up –, addresses the complex and sometimes cruel issues of our time with a poetic tenderness while focusing on topics such as exile, migration, otherness and hospitality. 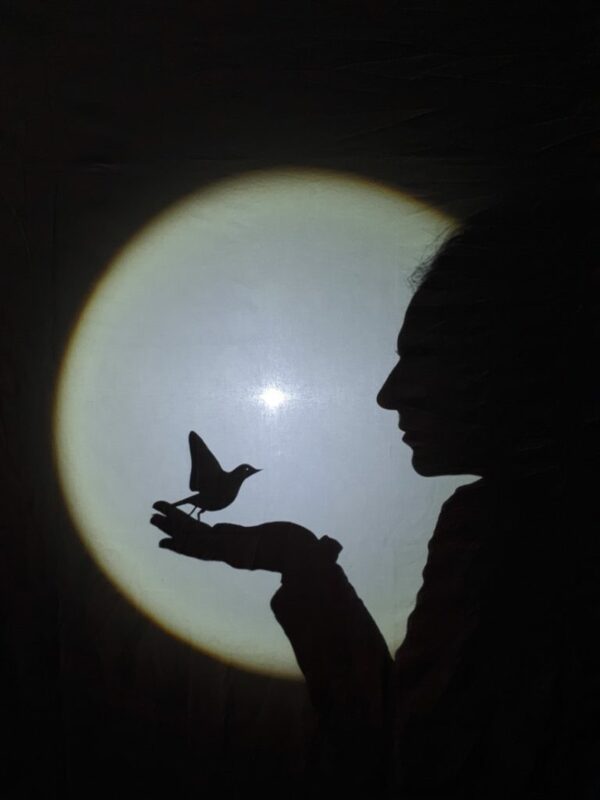 For the show, ‘Z’oiseaux’, meant for kids aged 5 and older, ‘Les petites boîtes’ has investigated the idea of exile by taking the perspective of migratory birds. The performance is an enveloping visual and auditory proposal of imagery without words, inhabited by objects and cut up paper. Technically easy to transport, the show can take place in all kinds of venues, as the artistic departments here wish to make this proposal accessible to a large audience, whatever language or age. Flapping your wings and flying away is the dream of many children. It is the dream of a freedom that expands in space and gets carried away without obstruction. To exist, in the etymological sense, is to search for a place, to be on the move. And ‘to move’ is a question of survival for migratory birds. This work endeavours to direct the tail of a great journey, the epic of a flight in search of a nest to coil up. A story told from the sky, from where the earth shows its true face, singular and indissoluble. ‘Z’oiseaux’ will be presented to children in schools on 1-4-5-7-8 June and to the general public on 2 and 6 June.